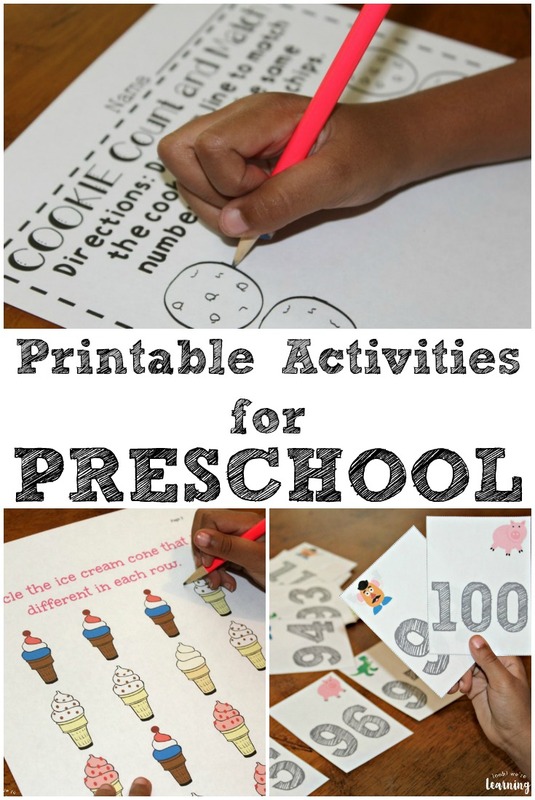 Fun Preschool Worksheets and Activities - Look! We're Learning! We’ve been homeschooling for nine years and, in that time, we’ve taught four preschoolers. Over the years, I’ve learned that preschool is a wonderful time for helping children learn through play and crafts. But there are also lots of printable preschool worksheets and activities that can introduce kids to basic skills in math, reading, and fine motor development. 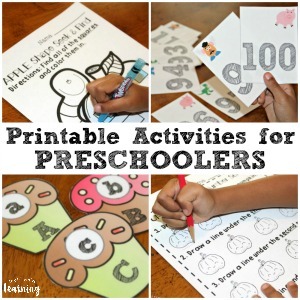 So, we’ll be sharing lots of printable preschool activities right here! 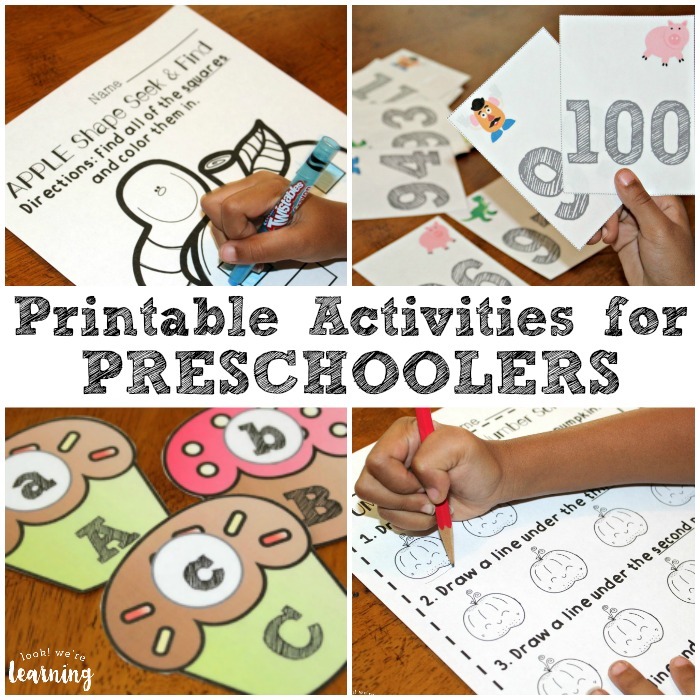 Check back often for more preschool printables that your little learners will love! There are also lots of fun preschool unit studies here at Look! We’re Learning! And don’t forget to take a look at some of our preschool booklists for awesome reading selections to use with your kids! Cookie Counting Worksheets – These fun counting worksheets for preschoolers feature cute cookies! Kids can count the number of chocolate chips on each one and then match them to cookies with the same number of chips! These are excellent for counting and matching skills. Toy Friends Counting to 100 Flashcards – Pick up these cute Toy Friends flashcards to help preschoolers learn to count from one all the way to 100! Racecar Scissor Skills Printables – Help your preschooler practice basic scissor cutting skills with these racing worksheets! Ice Cream Shape Sorting Printables – These fun ice cream “cones” let kids match up colorful shapes with shape words! Cupcake Big and Small Worksheets – Work on size recognition with these printable big and small preschool worksheets with a fun cupcake theme! Cupcake Letter Matching Activity – This adorable cupcake alphabet matching activity lets kids practice pairing uppercase letters and lowercase letters! Apple Preschool Matching Worksheets – Get ready for fall with these apple-themed preschool matching worksheets that help early learners recognize similar items! Ice Cream Same and Different Worksheets – The next step in telling items apart is learning how to spot the objects that are different. 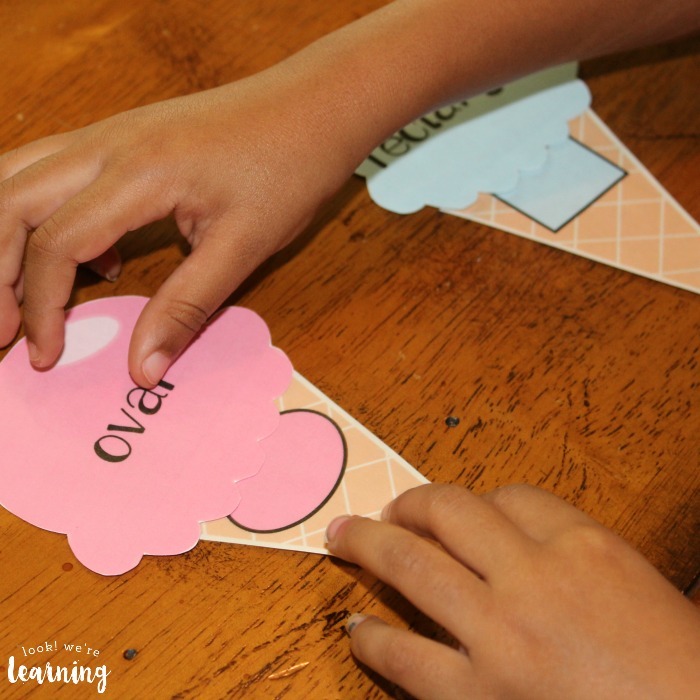 These cute ice cream worksheets are a great way to practice! Sign Language Alphabet Flashcards – Help your preschooler learn how to sign the ABCs in American Sign Language with these flashcards! Sign Language Number Flashcards – Pick up these printable flashcards to work on counting in both English and American Sign Language! 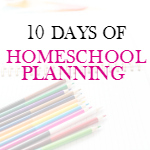 This page is part of the Tips for Homeschool Moms linkup! 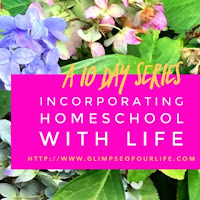 Want to get your homeschool year off to a great start? 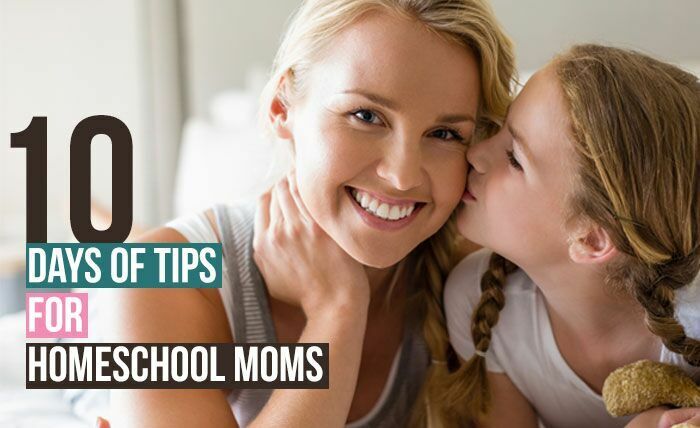 Check out all of these resources and helpful hints for moms who homeschool!